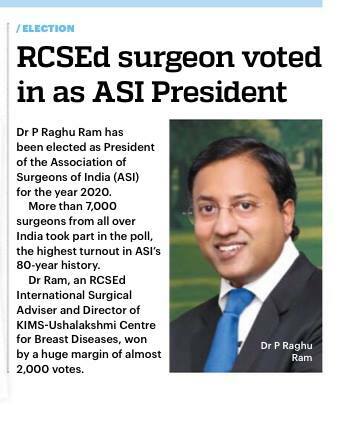 Dr. P. Raghu Ram, who recently got elected to serve as President of Association of Surgeons of India for the year 2020 created history by polling the highest number of votes ever in the 80 years history of the Association. 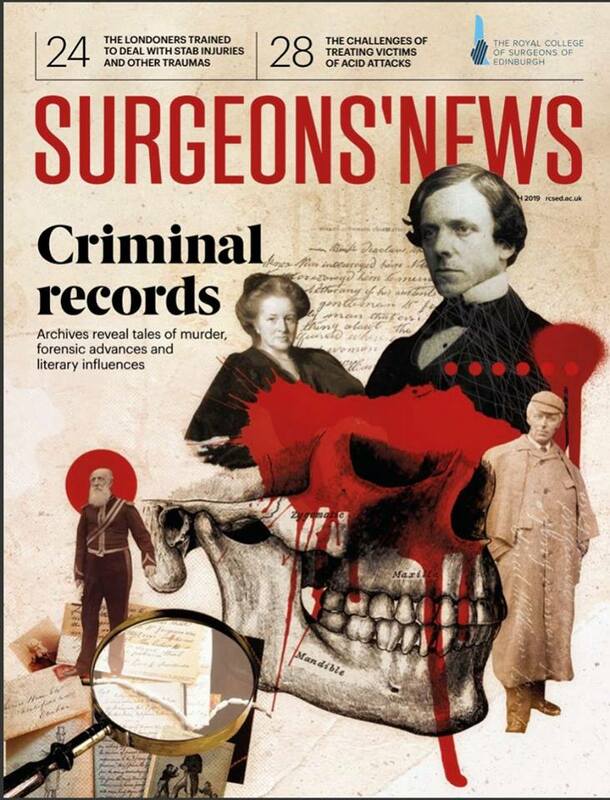 This news was featured in all the social media platforms of the Royal College of Surgeons of Edinburgh - the oldest surgical College in the World (Twitter, facebook, website). This news item was also featured in the print edition of the RCS Ed's latest issue of Newsletter( March 2019).